A couple of months ago, I spent Mardi Gras weekend in Lake Charles, Louisiana. I had never heard of Lake Charles and now I will always hold the town dear to my heart! I was pleasantly surprised to learn it’s only a little more than 2 hours away from my hometown of Houston, which makes it the perfect getaway for many of my friends. I stayed in the luxury casino and resort, L’Auberge. If you wanted to, you can spend the entire weekend getting all your desires catered to without having to leave the property. Amentites include a casino, golf course, heated pool, a lazy river, spa, luxury shopping, and restaurants! The beds were quite comfortable. If you’re a sucker for turn down service, they will woo you with exceptional turn down service. I’m still thinking about their gold-dusted chocolate cookies and cold milk waiting in my room after a long day of fun! 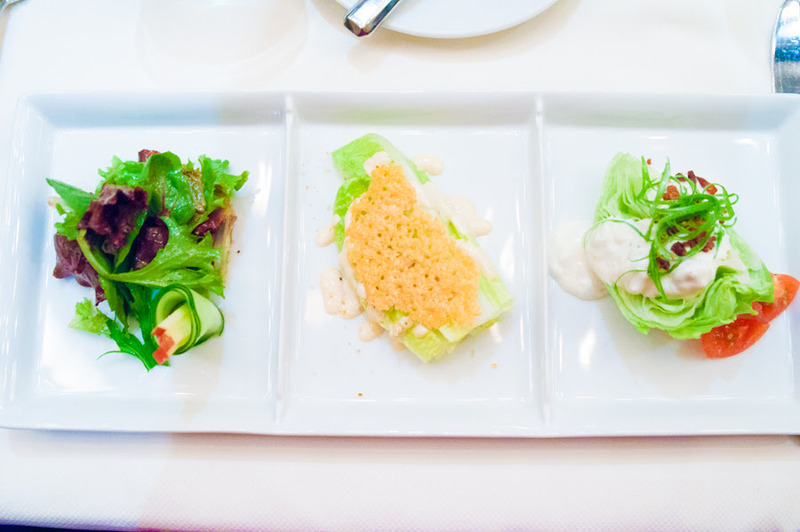 Tucked inside in the L’Auberge’s casino resort, is an excellent fine dining option called Ember, a Southern and Cajun restaurant offering winning fine dining experience. Read more about my experience there on my food blog. Lebleu’s Landing is a family owned Cajun restaurant with a Louisiana gift shop and a meat market. Visitors can watch boudin being made. What’s boudin (prounoced boo-dan)? Boudin is ground pork, liver, rice, parsley, onions, and seasoning in a sausage casing. Trust me, it’s so good! 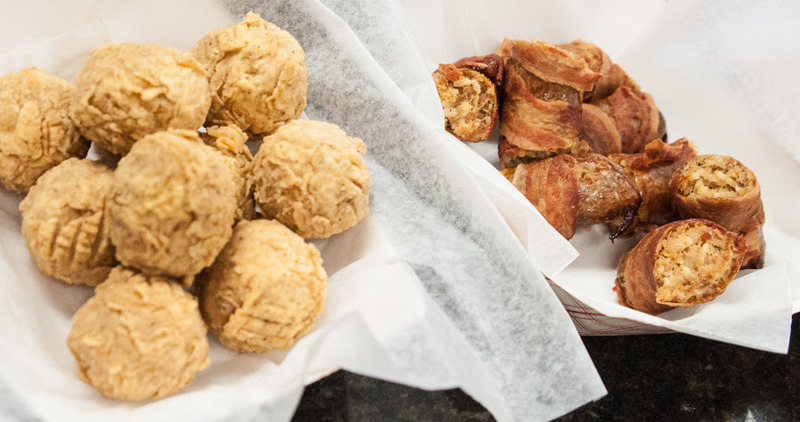 If you fall in love with boudin, you can go on a boudin trail in Lake Charles! 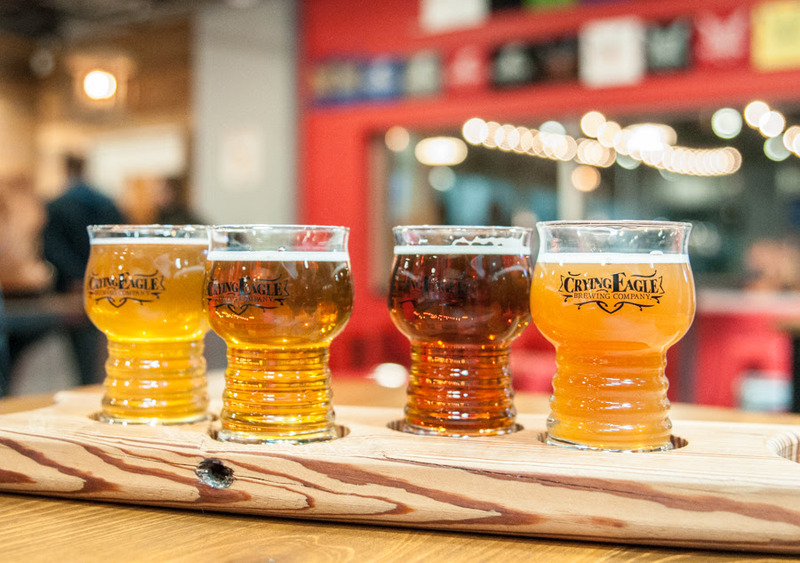 Come to the Crying Eagle Brewing Co., tour their facility, and drink their beers while enjoying their beer garden. I loved their Belgian Single, Ready to Mingle. Oh, They often host live music! Come to Blue Dog Cafe for a delicious Sunday brunch buffet while listening to live music. I especially loved their gouda grits! 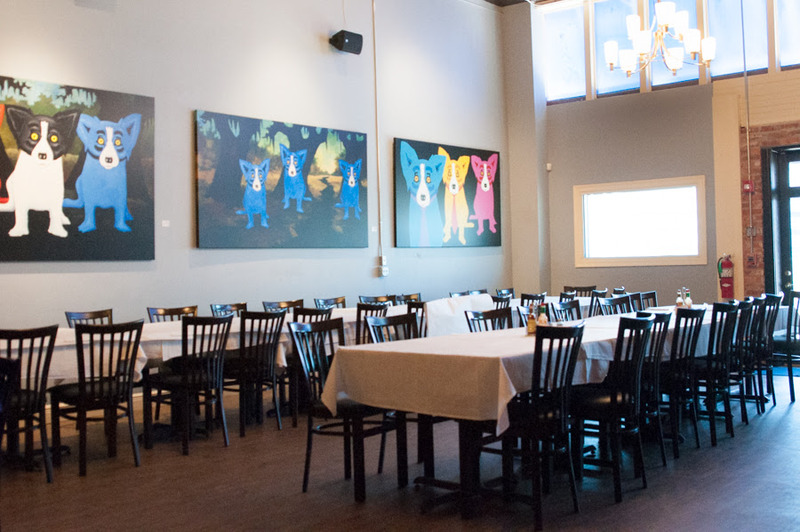 They’re named for George Rodrigue’s famous artwork; you can see a gallery of his Blue Dog series at this cafe. A formidable local purveyor for crawfish is Seafood Palace. I could tell it’s a town favorite from walking through the restaurant and seeing how bumping the place was. Every table had multiple platters of crawfish! They offered rubber gloves if you didn’t want to get your hands dirty, but I recommend getting your hands dirty! Also on their menu: boudin balls, gumbo, seafood filled pistolettes, and fried shrimp or fish. Rikenjak’s reminded me of the house-converted restaurants and bars we have in Austin (particularly on Rainey Street). Their outdoor patio had fun yard games that adds to their casual and laid-back atmosphere. Known for their burgers and brews, you can have crawfish as your appetizer before getting your hands on their burgers! Great place for the kids. Practice your Cajun French , smell the smells of Cajun cuisine, and “play along” with cajun and zydeco beats. The staff there are also great resources for what to do in the Lake Charles! Take a boat tour of private marshes and enjoy access to several bird rookeries, miles of land to spy on some wildlife and enjoy the wide variety of plant life. 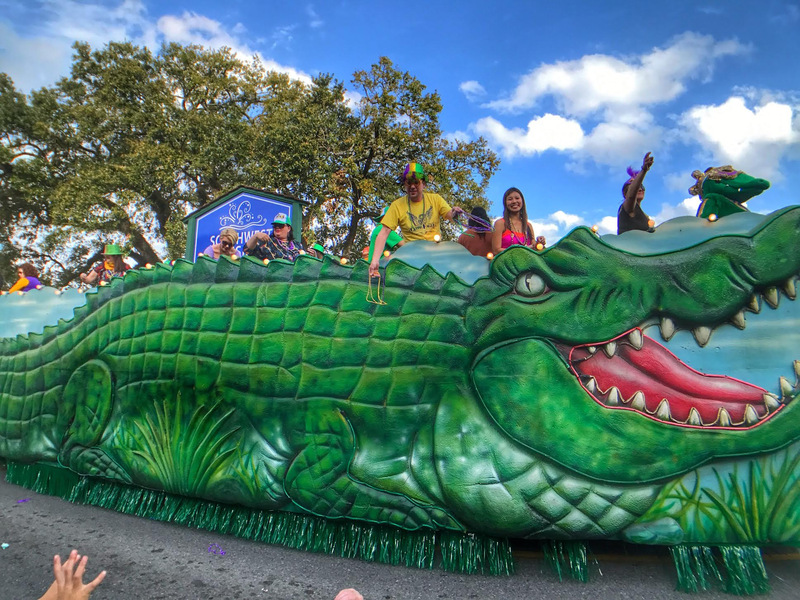 If you go around Mardi Gras, be sure to experience Cajun Mardi Gras by way of a hayride chasing after chicken. Do I even need to elaborate? Okay fine, it’s a fun tradition where you go house to house collecting ingredients for gumbo and dance to zydeco at each stop. 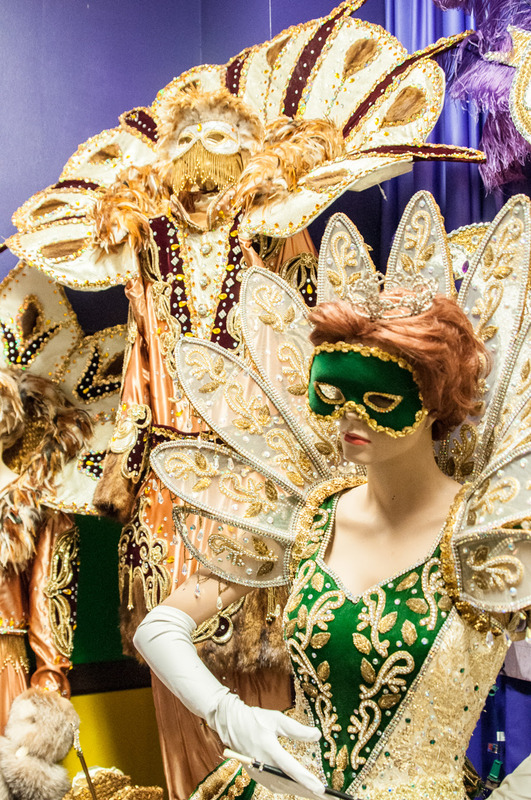 The Mardi Gras Museum of Imperial Calcasieu has largest Mardi Gras costume display in the world. There are fun Animatronics that tell the history of Mardi Gras. Because I’ve never been to Mardi Gras, I had no idea how grand the royal costumes were! I learned how each costumes can not only run thousands of dollars to make and require a lot of muscle strength to walk in, but they’re also not to be worn again in subsequent years! And there you have it. A recap and guide to my first weekend in Lake Charles. I’m looking forward to visiting again! Have you been to Lake Charles? What was your favorite thing about it?